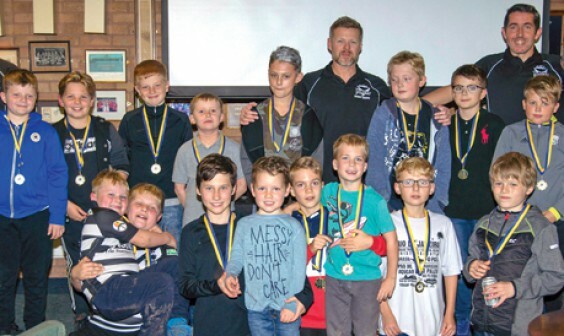 North East Worcestershire (NEW) Ravens Rugby League Club held its end-of-season awards night recently at the home venue of Hopwood Park. The club house was packed with players of all ages, families, friends and supporters. A message of support from the club President – former super league player, coach and Papua New Guinea international star Stanley Gene – was read out, before Director of Rugby Jason Spafford thanked everyone who works behind the scenes. The first to receive their medals were the “little leaguers” aged from three to six years old, and the under 11s. As well as “Rising Star”, “Most Valuable Player” and “Club Commitment”, there were various fun awards. A very special “Roll of Honour” was awarded to the late Chris Cooksey from the Kings Norton RU Club, who was a great supporter of the Ravens. NEW Ravens play indoor mixed touch at Bournville College in Longbridge every Wednesday evening from 7.30pm – all welcome. They also play Masters RL, a modified version of the game for over 35s. Details from http://www.newravens.net or Jason on 07957 248464.